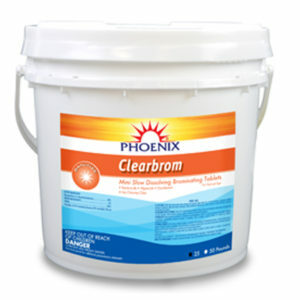 (89% Available Chlorine) These tablets are manufactured with the most concentrated form of dry chlorine available today. 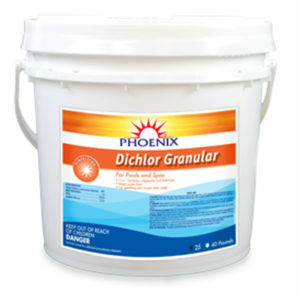 They are slow dissolving to allow you to reliably dose your pool once a week. These tablets contain cyanuric acid – a stabilizer that prevents ultraviolet light from removing the available chlorine from the pool. These tablets allow you to easily maintain proper chlorine residuals and help you to effortlessly produce beautiful, clean sparkling water. For use in chlorinators and automatic feeders. Available in 4LB, 10LB, 15LB Pail, 25LB Pail Wrapped or Unwrapped, 45LB Pail Wrapped or Unwrapped. Slow Dissolving in nature to allow you to reliably dose your pool once a week. These stix contain cyanuric acid – a stabilizer that prevents ultraviolet light from removing the available chlorine from the pool. They allow you to easily maintain proper chlorine residuals and help you to effortlessly produce beautiful, clean sparkling water. For use in chlorinators and automatic feeders. 5LB, 10LB, 25LB Pail, 40LB Pail. 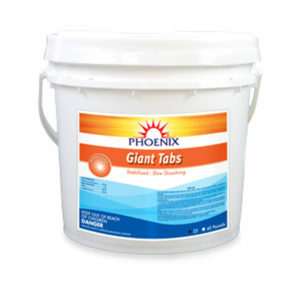 Is a 1 inch Bromine tablet that is excellent for commercial and residential indoor and outdoor spas? Also works great for indoor pools! It has a very low non-offensive odor. It can be used in a bromine feeder, dropped in a floater, or just added to the skimmer. 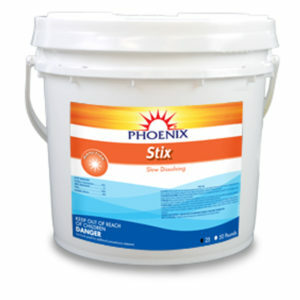 Compatible with all pool and spa surfaces. Available In 25LB and 50LB.